Between April and October, Germany’s beaches and islands draw watersports enthusiasts to the coast. Kitesurfing has experienced quite a boom in recent years, and more and more centres offer courses for both novices and experienced kiters. Varying conditions along the coastline ensure that everyone gets their money’s worth, whether you’re zipping across the flat water or are keen to take on the waves to practise your jumps. 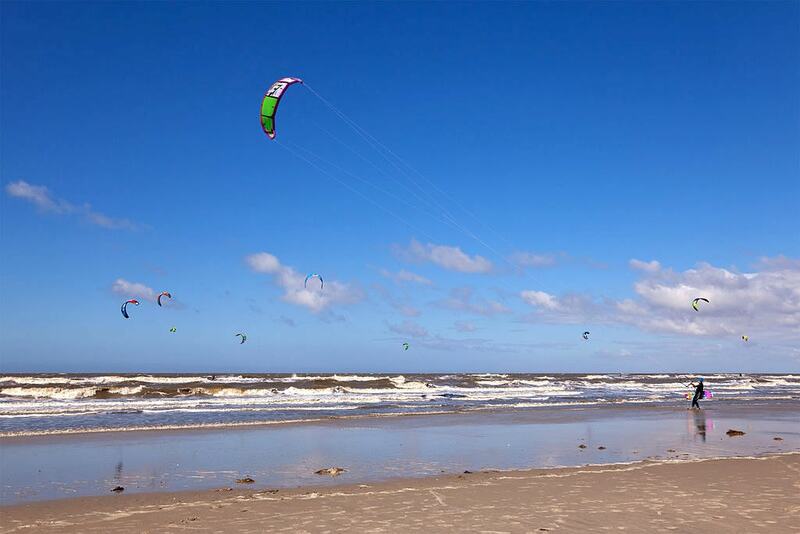 We had a look at the best kitesurfing spots in Germany. Twenty years ago, a TV series set in St. Peter Ording about a group of windsurfers was broadcast on German television, putting the seaside town on the map for watersports enthusiasts. 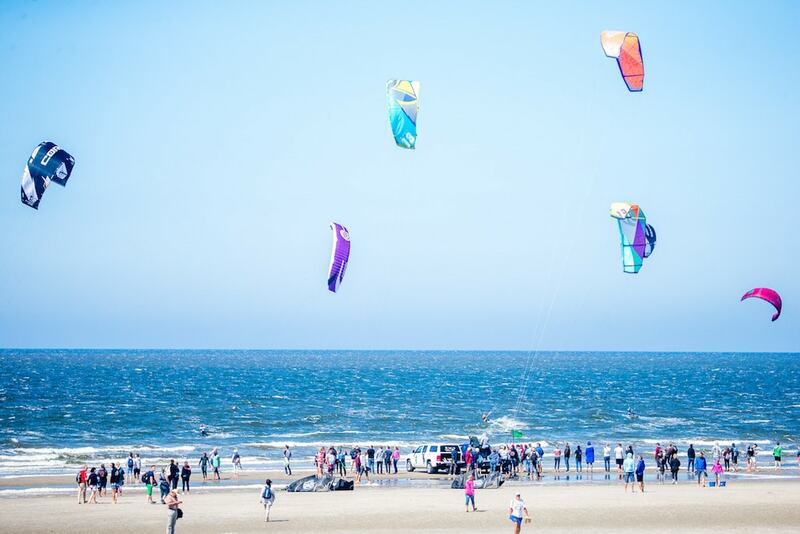 Today, the North Sea beaches are considered to be some of the best kite and windsurfing spots in Germany and are regularly the scene of kitesurfing competitions. Conditions vary along the coastline with changing winds and weather, but kitesurfers of all levels flock to the town 150 kilometres north of Hamburg. The X-H2O watersports centre offers courses and equipment rental. 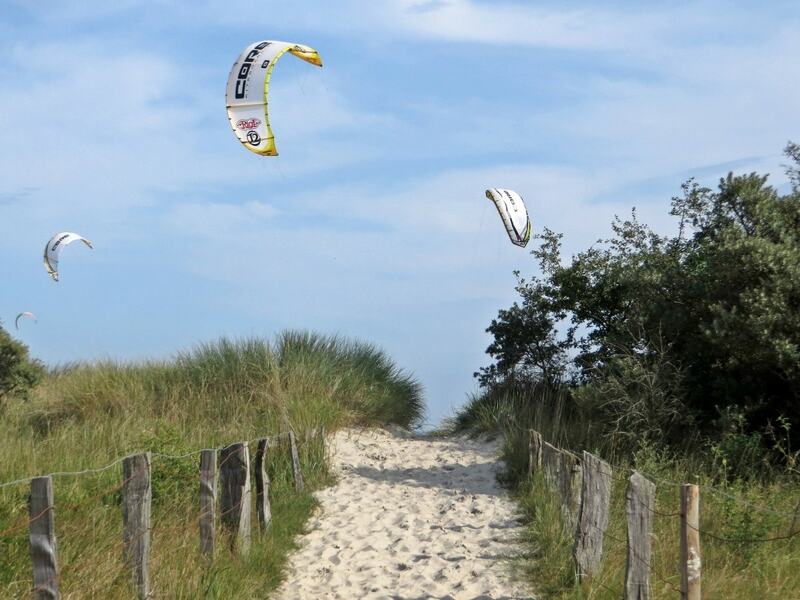 Fehmarn, one of Germany’s most popular Baltic Sea islands, has made a name for itself as a kite and windsurfing mecca. This summer, the Kitesurf World Cup is set to lure even professionals to the island for the second time. While several flatwater spots across the islands offer lots of opportunities for beginners to get the hang of the sport, intermediate and advances kitesurfers take to the deeper waters to practise their jumps. Whatever level you’re at, the many kitesurfing centres and rental stations on the island can set you up with courses and equipment. Sylt is primarily known as Germany’s glitz-and-glamour island of the Frisian archipelago in the North Sea. The island offers beautiful beaches, fantastic restaurants and spa and wellness resorts – and reliable winds that attract wind and kite surfers from Germany and abroad. Between April and November, the beaches and offshore sandbanks see people take on the flat waters and waves along the coast. Courses run throughout the season, and in the last week of June, professionals join in on the fun when they compete in the Sylt Kitesurf Cup. Approximately 170 kilometres northwest of Bremen is Norddeich, the gateway to the East Frisian islands and a popular spot for rookies, as well as advanced and professional wind and kitesurfers. Changing winds bring both flatwater and smaller and bigger waves to the North Sea coast. The local surf centre can book you on a course, sort out equipment, and brief experienced kiters on conditions in the area. The protected water of Lubeck Bay attract first and foremost those with little or no experience and are just getting into kitesurfing. A quick drive up the coast from Lubeck gets you to Niendorf, or even further north to Pelzerhaken. The local kitesurfing schools provide all the needed equipment and take rookies into the flat water. More experienced kiters have discovered the Brodtener Ufer towards Travemünde for stronger east winds and waves. Don’t get into the water if you’re not confident in your abilities, offshore boulders and rocks make it a potentially treacherous undertaking. Rügen Island lies off of Stralsund on the Baltic Sea coast and is a favourite holiday and weekend trip destination. Famous for the picturesque white chalk cliffs and beautiful beaches, the island boasts some excellent kitesurfing spots. Wiek, Thiessow and Kreptitz are considered to be the best locations, each catering to a niche. The shallow water off Wiek is usually flat, though westerly winds sometimes create a small wave you can use for jumps. Kreptitz offers the opposite, and only experienced kitesurfers should even think about getting into the deep waters here. Thiessow offers the best of both worlds, the northwesterly wind brings waves, and easterly winds turn the sea flat. Beautiful sandy beaches, idyllic scenery, spa towns and lots of outdoor activities draw people to Norderney. But also kitesurfers are spoilt for choice when trying to decide on a spot for the day. During the season, the renowned locations of Januskopf, Weiße Düne, Kaiserbecken and others offer a mix of conditions. One of the annual highlights is the White Sands Festival that sees lots kitesurfing competitions and beach volleyball matches plus exclusive parties in the evenings.